“Dunk Phil!” was one of the most popular exhibits at the GBNAM “City Fair” this afternoon at BNYC. 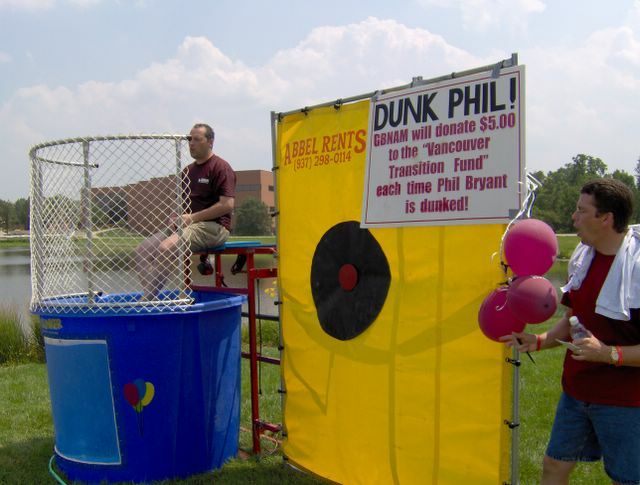 Philip Bryant, who is moving to Vancouver to church-plant, egged on the teens who tried to dunk him. For each “score,” GBNAM was donating $5 to the “Vancouver Transition Fund” for the Bryants. At right is new Canada church-planter Bill Walker.